The Blood Type Diet, created by Dr. Peter D'Adamo, is based on the concept that people should eat or avoid certain foods based on their blood type. Type O blood is the most common on the planet, which means that most people should follow this specific eating plan. People with type O blood should focus on eating mostly proteins and fruits and vegetables. A diet high in these items will not only promote health but will also help with weight loss. People with type O blood should avoid grains as much as possible. This includes anything made of corn and wheat, such as breads and cereals. Corn and wheat can be also found in a number of other products, including sauces, soups and even canned vegetables. According to natural health expert Dr. Michael Lam, gluten interferes with the efficient use of insulin. Since type O people are likely to gain weight because of a slower metabolic rate, avoiding insulin peaks is essential to maintaining or losing weight. Type Os should also avoid all forms of baked and sugary goods. 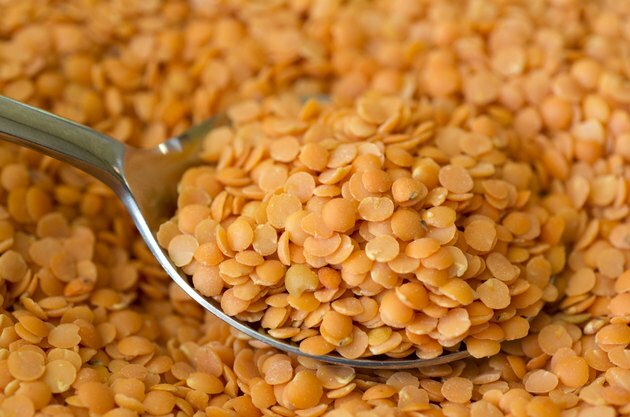 Type Os should avoid beans, lentils and other legumes. Kidney beans and lentils in particular "slow down" the muscles, making them less apt for physical activity, according to Dr. Lam. Sprouts and certain vegetables of the Brassica family, like cauliflower, also affects type O people negatively. Type Os can eat Essene and Ezekiel breads, which are made with sprouted grains. According to naturopath Dorota Wroblewska, ND, BHSc, our earliest ancestors were type O, which means a diet of hunting and gathering is the most appropriate. Because dairy products did not become part of our daily diets until much later, it's best to avoid them. Restrict the intake of dairy and eggs to a minimum. If you eat them, make sure they're full fat and not skimmed, as low-fat dairy products tend to have added sugar to make up for the lack of fat.